This gorgeous colonial in sought after Holleybrooke is move-in ready! All new flooring and paint. New hot water heater and new stainless steel appliances. New light fixtures. Roof and HVAC both < 3 years old. Premium wooded lot backs to trees. Fenced. 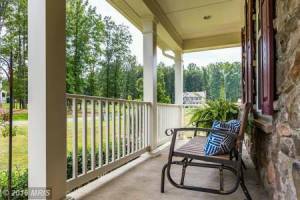 Beautiful established yard and a front porch to enjoy the view. Large backyard deck. Community pool & playground. Close to schools & shopping! Listed by Laura Rodier, Holt For Homes, Inc.